FAQs / Can my Pre-K child play ZoomChess? 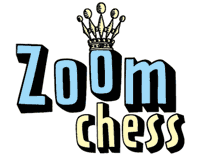 Yes, ZoomChess is designed for kids, even pre-schoolers. Try the 14-day free trial to see if your little one enjoys chess on a computer. We recommend short sessions for very young kids, with real-world reinforcement on an actual chess board.